1. After downloading the product, double click the Office 2013 installer (.exe file) and open the extracted folder. Wait while the files are extracting. Don’t click anything until the process is 100% completed. 2. Open the extracted folder. Double click on Setup.exe to start the process of installing Office 2013. You can also install the 64-bit version by opening the Office folder and then double click Setup64.exe as shown on the video above. 3. Click Yes on the popup window. Wait for the window Activate Office to show. Select the Option for Enter Product Key. Type the product key sent via email after your purchase. 4. Click next on the welcome window. Watch the product introduction. You can either sign-in or skip on additional instructions by clicking next. 5. Close the installation screen by clicking All Done. The installation status will show on the notifications bar. 6. You can confirm that the product had been installed by clicking on Start. Microsoft Office 2013 will show under the All Programs list. Test the included programs by opening them one by one – Word, Excel, PowerPoint, OneNote, and Outlook. Congratulations for successfully installing Microsoft Office 2013! 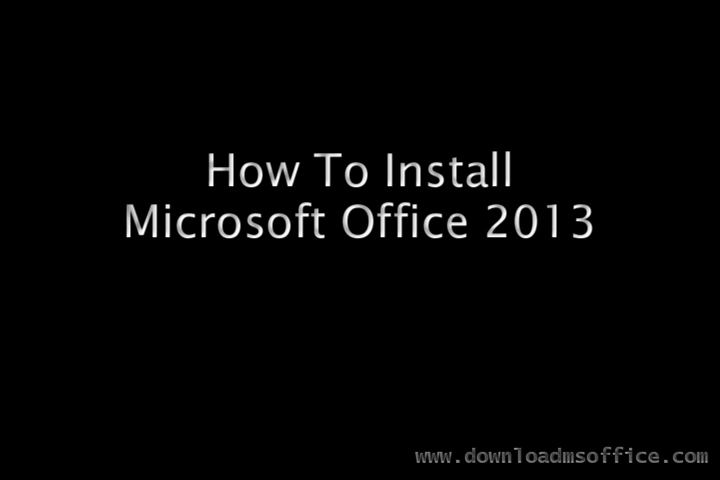 You can download Microsoft Office 2013 in Australia through www.downloadmsoffice.com!